The event will be at Ace Country Club on May 14, 2018. 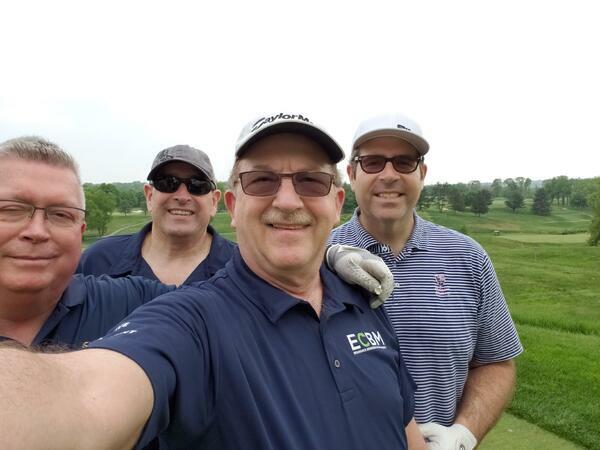 West Conshohocken, PA, May 10, 2018 – ECBM Insurance Brokers & Consultants (www.ecbm.com) will be a sponsor for the Chubb Charity Challenge. The team will be playing in support of Women's Way. ECBM Insurance Brokers & Consultants has provided commercial insurance brokerage and consulting services to the Mid-Atlantic region since 1970. Charlie Bernier, along with Gloria Forbes and Rick Eckert, assumed ownership of this independent firm in January, 2001. Their combined vision was to bring national account services to all of their clients cost-efficiently, and they have been doing so ever since. ECBM participates in many different community service and charity events that touch the lives of our employees and serve our community including St. Baldrick's Foundation, Cradles To Crayons, Operation First Response, The Conshohocken Little League, The Breathing Room Foundation, The Borough of West Conshohocken, The Wissahickon Valley Watershed Association, local food bank charities, The Arc of Hundterdon County, MuckFest MS for The National MS Society, The Heart of Camden, The Chubb Charity Challenge, and The National Kidney Foundation's Kidney Walk. 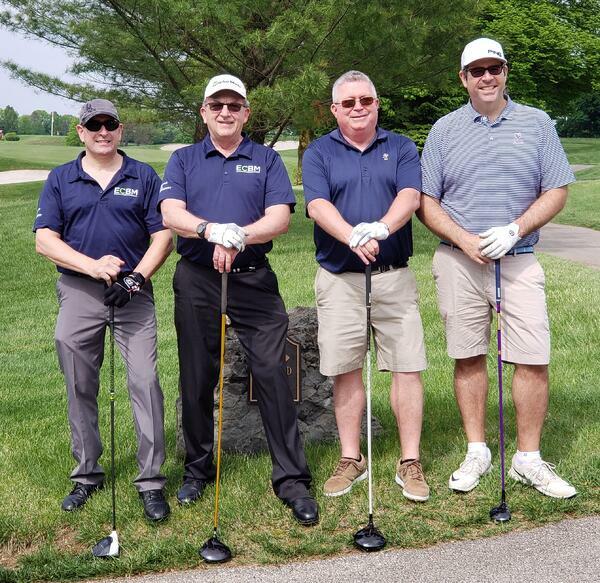 Brokers (like ECBM) and agent friends and clients join with Chubb's local staff around North America to enjoy a day on the course dedicated to fun and philanthropy. At least five foursomes must play in each local event, each choosing their own charity to play for. The winner earns the trip to the finals to play for $50,000. More than 6,000 charities across the United States and Canada have received donations through agent, broker and client participation in the annual Chubb Charity Challenge golf tournament. More than 5,200 teams of agents, brokers and clients have played in the Chubb Charity Challenge since 2000. 740 teams have advanced to the national tournament. On a beautiful October day in 1996, Chubb's Murray Hill office hosted the first Chubb Charity Challenge for twenty-five producers at New Jersey's Metedeconk Golf Club. Local New Jersey charities received $25,000 in donations from the event. The producers had a wonderful time and again supported a New Jersey Charity Challenge in 1997 and again in 1998. It was thought that combining an event for Chubb's agents and their chosen charities would benefit Chubb, the producers and the community. The thankful letters from numerous charities that benefited from unexpected donations coupled with the producers' enthusiastic support of what Chubb was trying to do was proof that the idea was sound. In 1999, Chubb's Northern Zone decided to expand on the original Challenge concept. Ten branches held local qualifying events that had foursomes from at least five producers as participants. The winning foursome from each branch was then invited to attend the Zone's "Tournament of Champions" at Whistling Straits Golf Club in Kohler, Wisconsin. Those ten teams played for a total purse of $50,000. The 2000 to 2017 Challenges exceeded everyone's expectations. As we continue the tradition in our 19th Challenge in 2018, we are hopeful that we will continue the momentum. Good luck and let the games go on. To inspire and mobilize the community to invest in organizations and leaders that will advance the rights of and opportunities for women and girls, and achieve gender equality for all.